Including a removable scene for the Retro Action Janine & Samhain set was nice of Mattel. 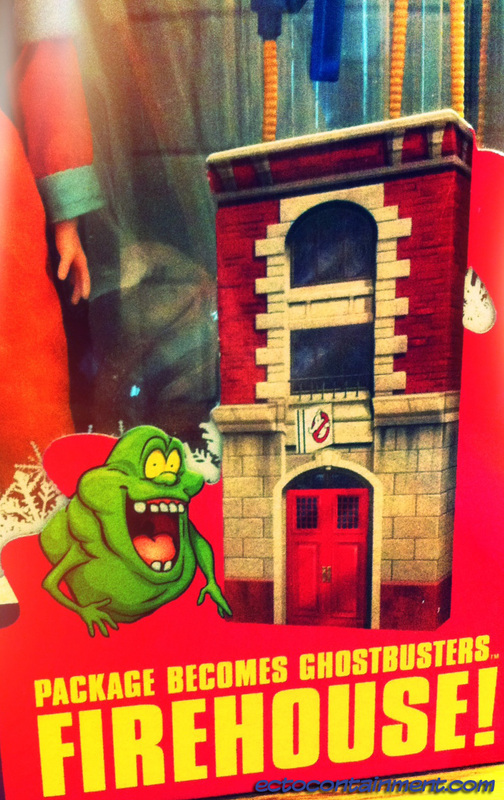 For adults, these collectible figures are reminiscent of an era when we’d have Kenner’s The Real Ghostbusters hero figures, some or as many ghosts figures as possible, at least Ecto-1, and of course the backdrop for the supernatural battle, the firehouse. No one could expect Mattel to come with their own molded plastic version of the firehouse separately. The expense alone would be cost prohibited. The “Retro-Action” Firehouse comes as mostly folded cardboard and when open stands at 22 inches. 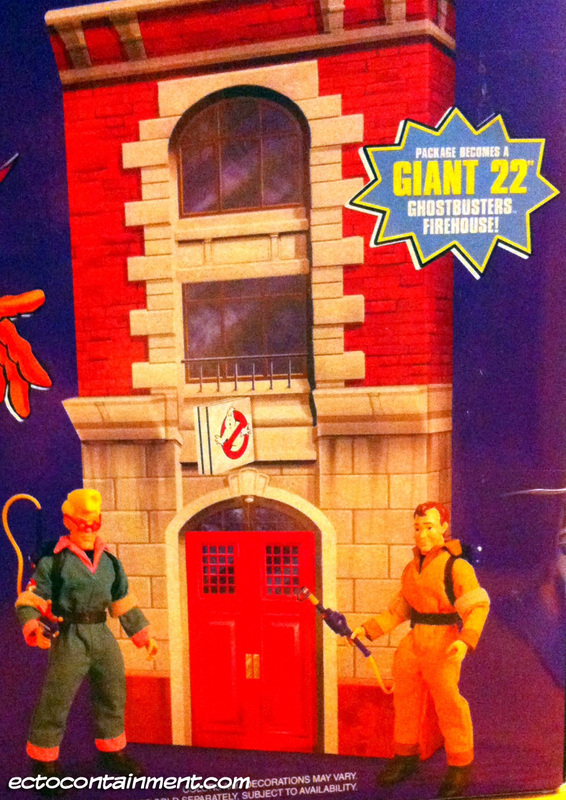 It’d have to be tall to display the Retro-Action The Real Ghostbusters. While the firehouse is meant to be a facade for display or possible play time, Matty Collector went the extra mile. Printing the first floor of The Real Ghostbusters firehouse interior. The red doors open revealing a graphic of Ecto-1 in the garage bay. You can also see into the rear office area. To provide further realism, the “Retro-Action” Firehouse has a “no ghost” logo sign that hangs off the building, like its cartoon counterpart. 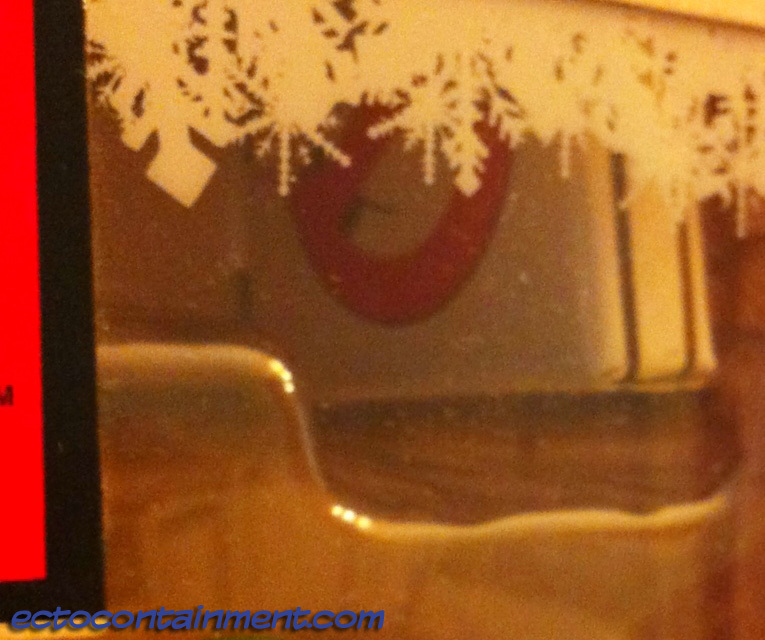 On a related note has anyone else ever wondered why there are snowflakes around the window packaging? 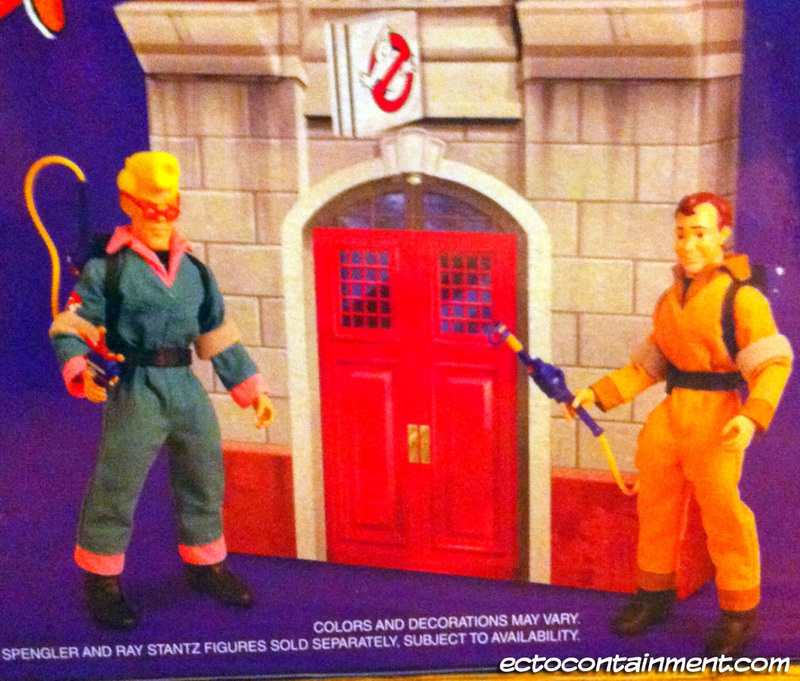 I understand the need for a disclaimer, I still really like that Mattel has to inform us that Retro-Action Egon and Retro-Action Ray are both “sold separately.” Reminds me of oh, every toy line from the ‘80s.